Don’t you love having your own dessert that you don’t have to share? 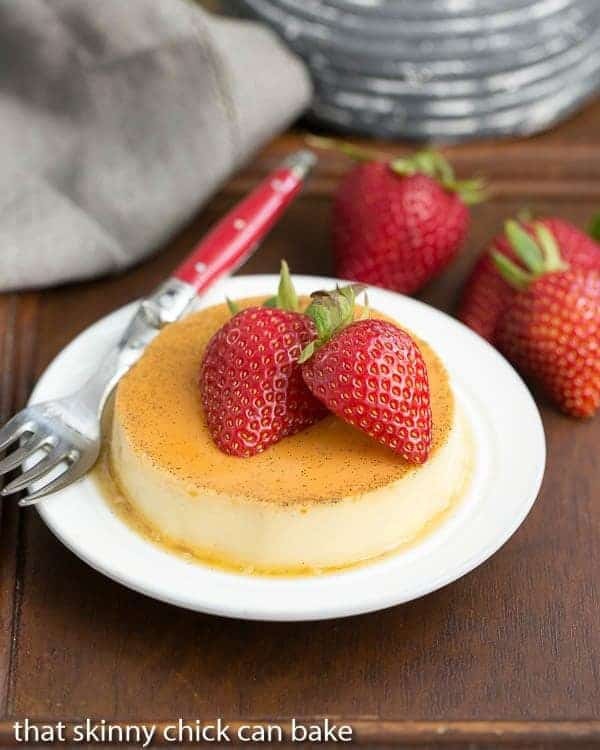 These Mini Vanilla Flans are creamy vanilla custards coated with homemade caramel. 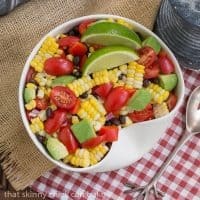 A delicious way to end a Tex-Mex, Spanish or Cinco de Mayo themed meal! Our oldest pops by most Sunday nights to have dinner with the family. A month or so ago, he raved about a flan he had tasted at a nearby bistro. He may have been in college the last time I made one, so I added flan to the list of must make recipes. With, I had my excuse to whip up Spain’s version of crème caramel, these mini vanilla flans. It took me a few times to get this recipe just right. 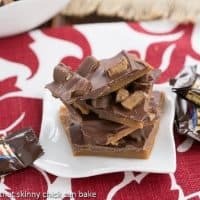 The first caramel I used was just plain sugar and water and got too hard for my liking, so I went back to a tried and true version with a touch of corn syrup. I know many folks despise the use of this product, but it does serve a purpose. This addition prevents the recrystallization of the sugar once the caramel cools. I also use corn syrup in my Classic English Toffee for the same reason. I also thought these custards could benefit by being baked in a water bath like my favorite creme brulee. Yes, perfection! The custard was tender and creamy. Releasing the vanilla custard from the molds can be a bit daunting. I dipped the ramekins in a bit of hot water just to allow the caramel to soften, then ran a knife around the perimeter of the custards before inverting them onto a serving plate. I placed the plate on top of the ramekin, held the combo together then flipped them over. A little gentle shaking released the custard onto the plate and allowed the caramel to cascade over the surface. Heavenly. 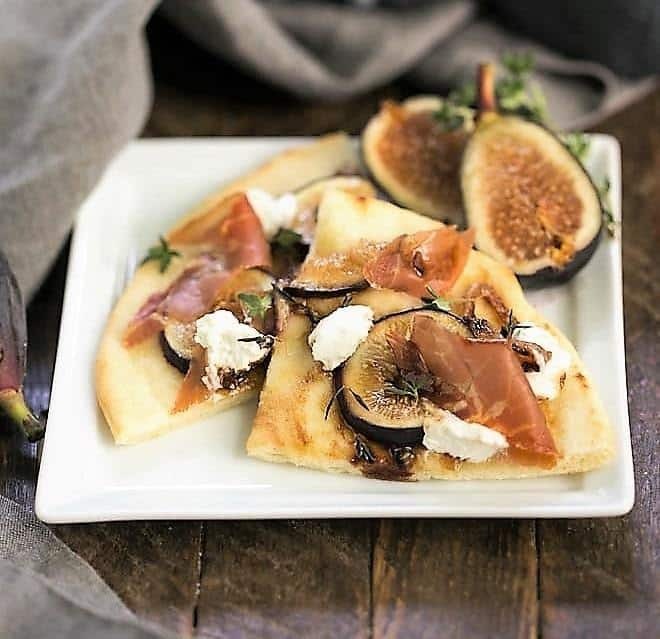 More fabulous recipes for your next tapas party! Whether you’re having a Spanish themed party or just love small plates. check out these terrific recipe from some of my favorite bloggers. The classic Spanish custard and caramel dessert made in individual ramekins. Preheat oven to 325º. 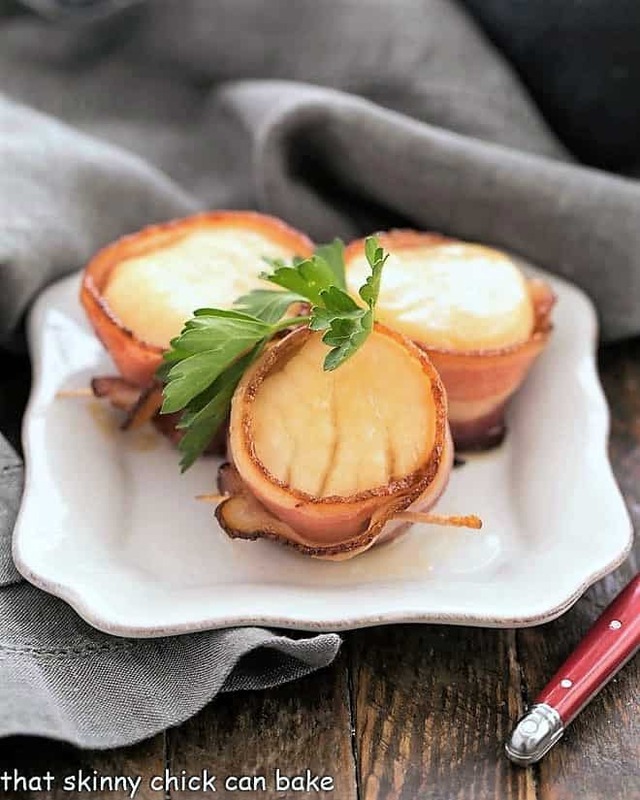 Set 6 ramekins into a roaster or large baking pan and set aside. Make the caramel by combining sugar, water, and corn syrup in a heavy saucepan. Heat over low heat, stirring until sugar is dissolved. Increase heat to medium-high and cook, without stirring, only swirling on occasion, till caramel turns amber, about 10 minutes. Watch carefully so the caramel does not burn. When amber, divide caramel between the ramekins to coat the bottoms. In a large bowl, whisk eggs. Beat in condensed milk, evaporated milk and vanilla bean paste until smooth. Divide egg mixture between ramekins. Pour hot water into pan avoiding splashing any into ramekins. Water should come up about halfway up sides of ramekins.Cover with aluminum foil. Bake in preheated oven about 40 minutes. Uncover and check to see if the custard is set by jiggling (middles can wiggle just a bit). If needed bake 10 more minutes uncovered. Let cool completely on wire rack then refrigerate a few hours or overnight. To serve, carefully invert on serving plates with edges when completely cool.I dipped the bottoms into a bowl of very hot water for a few seconds and also ran a knife around the perimeter to help release before flipping. Garnish with berries if desired. Dear Liz, sheer heaven on a dessert plate! Beuatiful presentation of one of my very favorite sweet treats of all times! And served with wonderful strawberries! Could not ask for more! Flan is such a great, classic dessert. Those vanilla bean seeds are calling my name! These look delicious, Liz. I’d definitely like to try them. Thanks for the recipe. I love flan! This looks perfect, Liz! It is classic, simple, and elegant. 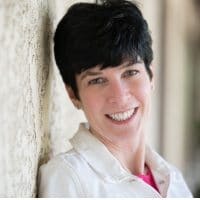 Hi Liz, I love your gorgeous flans. So pretty and tempting, reminds me of creme brulee. I will definitely use the vanilla bean paste! 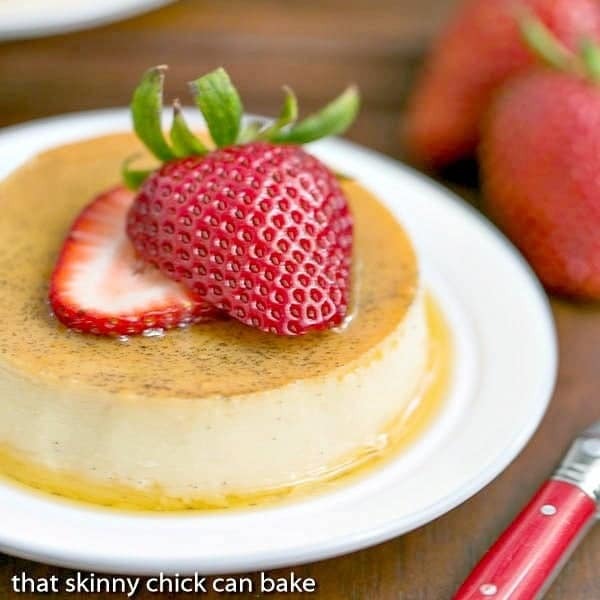 I love flan and you have the rest recipes for everything! Missed you this weekend! Your recipes are absolutely delicious,Liz. I just love flan, it’s the perfect finale to any meal. 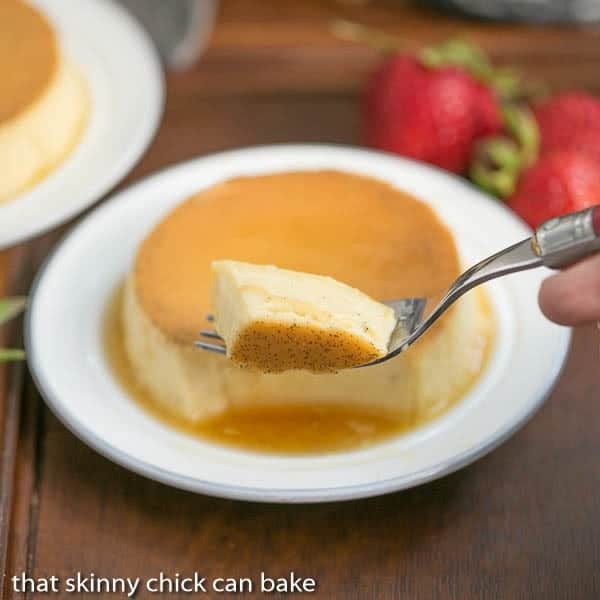 I am picky when it comes to flan, more of a creme brulee gal. Well i have the crappy stuff in restaurants.I have to say your mini flans I would devour. I do love flan, but we’ve never tried making it. I think that needs to change soon! Yours looks fabulous! So pretty, I love those flecks of vanilla bean! 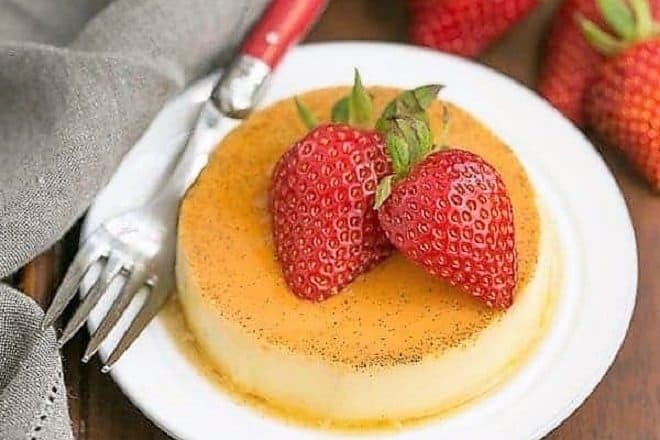 I’ve never made flan, but I have fond memories of dining with my family at our local Mexican restaurant and indulging in one 🙂 It would be so fun to recreate at home! Yummy! 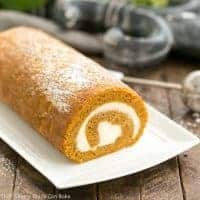 Dessert that I love but haven’t tried making. Any dessert I don’t have to share works for me! This sounds great! These look like a dream! 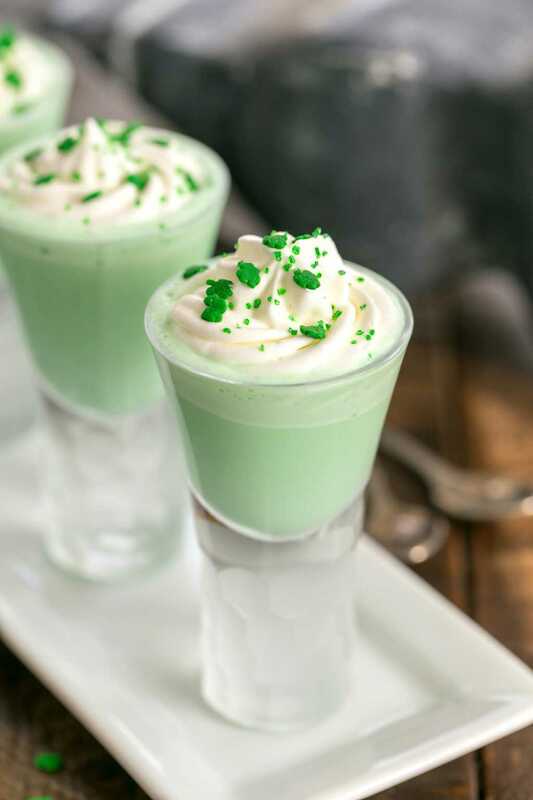 Perfect little desserts for a special occasion. Looks so creamy! Love those specks of vanilla. These are so gorgeous, Liz! I love that they’re mini! So creamy and delicious! This recipe is so tempting!!! I have visions of me sitting on the deck with smooth jazz playing in the background savoring this beautiful dessert. 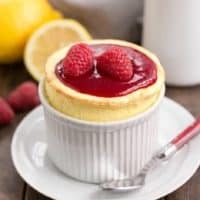 It is such an elegant and delicious-looking dessert! 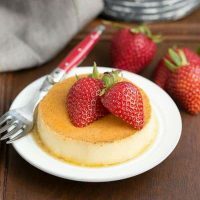 these are perfect for cinco de mayo I love the idea of individual flans! Beautifully light and sweet – bonus that it is a “mini” dessert so you don’t feel guilty for finishing it! What perfect little treats! And they’re so pretty! I love when you are able to use the vanilla bean or paste- the flavor is just that much better!